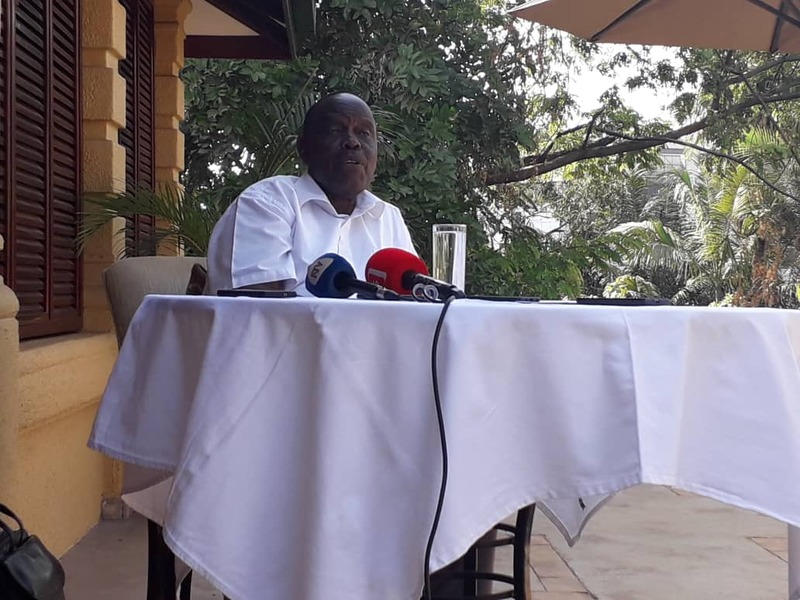 Maj Gen Matayo Kyaligonza, Uganda’s Ambassador to Burundi, yesterday Monday the 1st of April 2019, named MP’s take to recall him from the diplomatic service ‘stupid’. Kyaligonza in this case accused legislators of siding to only one part of the story. Kyaligonza discarded the narrative of Esther Namaganda, the traffic officer he and his body guards allegedly assaulted, stating that legislators judged him without getting his part of the story at the time they debated his recall off his diplomatic duties. “Can I see your susu, I mean pupu, they call it what? yoyo. Can I know how big it is? Is it possible? it’s not possible? Can I gauge you and judge you by what you are talking? This stupid woman was busy saying all those people who are fond of beating women have got small yoyos. If she was not sticking, I would ask her that you come and surfer it and see if I have got a small one. Yes! That’s what she was saying and we can quote her, she was deliberating in parliament. Is that not a stupid debater?” Kyaligonza added. Kyaligonza insists the stories that ran on all media platforms were interchanged and condemned the lack of a fair hearing between the two parties. Kyaligonza says he’s going to file a law suit of slander against journalists before Court. He however, attributed his political wrangles to his rivals in the political arena stating that they were witch hunting him. Following the debate on Kyaligonza’s conduct, Parliament decided to have him sacked from his Diplomatic duties after accusations of assault against Esther Namaganda, a traffic police officer. Kyaligonza and his body guard were accused of making an illegal U-turn in the middle of the road.